We are coming up on one of my very favorite weeks of the year. It is the week when I post your Babywise success stories. The stories of how your baby’s sleep improved. How implementing a schedule has helped your family. How your sanity has been maintained thanks to predictability in life. I love having these banks of stories in order to help people have easy access to the good Babywise has to offer. There are so many people intent on bashing Babywise out there (and it seems most of them have actually never even read the book), that a search for Babywise can yield nothing but negative. These stories help people see the good. 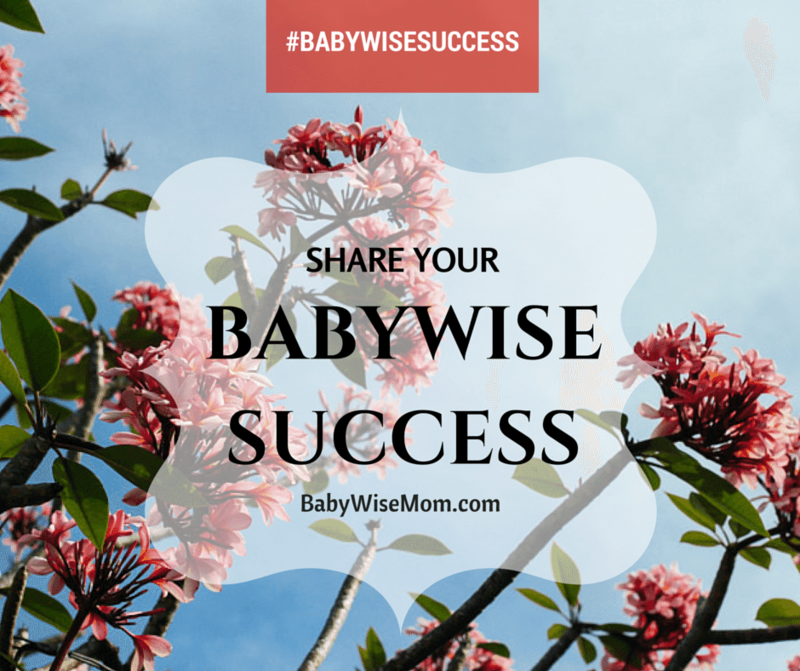 Each year, in an effort to provide more positive stories out there, I do a Babywise Success Stories Week. I publish the stories in July. 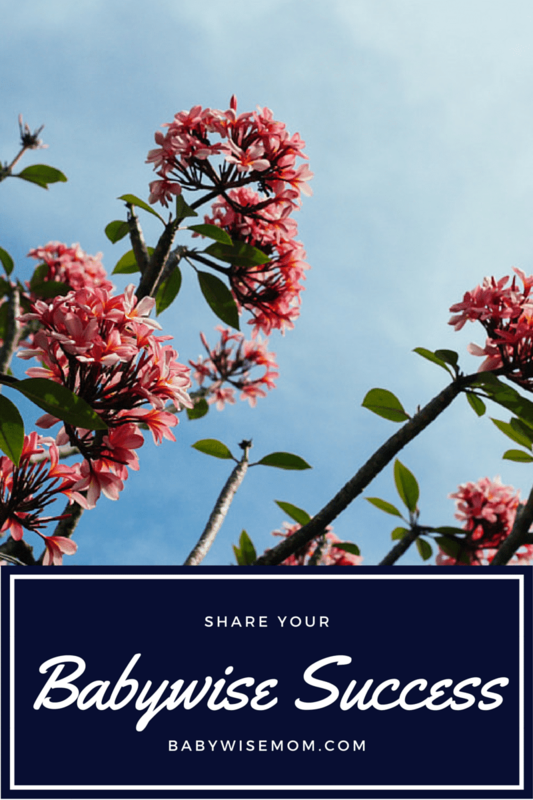 I ask you, the readers, to provide me with success stories to share on this blog throughout the week. It can be as short as a paragraph, or as long as a blog post. It can be about Babywise in general or some specific aspect of Babywise (like Independent Playtime, for example).